The owner, Manu Tandel, opened Hillsdale Car Care in San Mateo, CA in late 2009. He rebuilt the auto repair shop from scratch. Everything is brand new and he has the latest tools and equipment with friendly service. He takes great pride in making sure his customers are 100% satisfied. 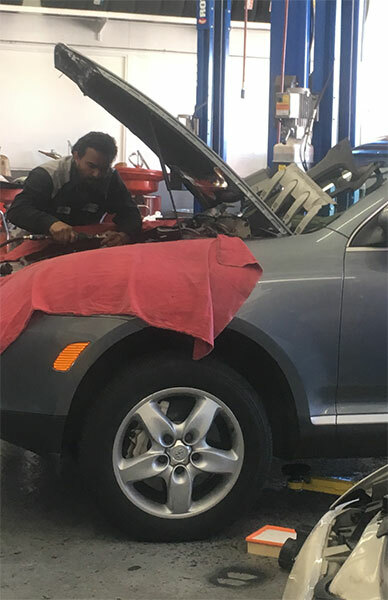 Hillsdale Car Care’s ASE certified technicians are ready to put their expertise to work for you and your vehicle. Caring for the customer has always been the primary commitment to maintain customer loyalty and trust. You can count us to provide the service your car deserves. We understand the importance of driving a safe and reliable car for your everyday use. Why Choose Hillsdale Care Care? Call us at 650-345-0101 to schedule an appointment for a complimentary evaluation of your car. You are welcome to stop by anytime to meet our technicians and to tour the auto repair shop. We look forward to meeting you.